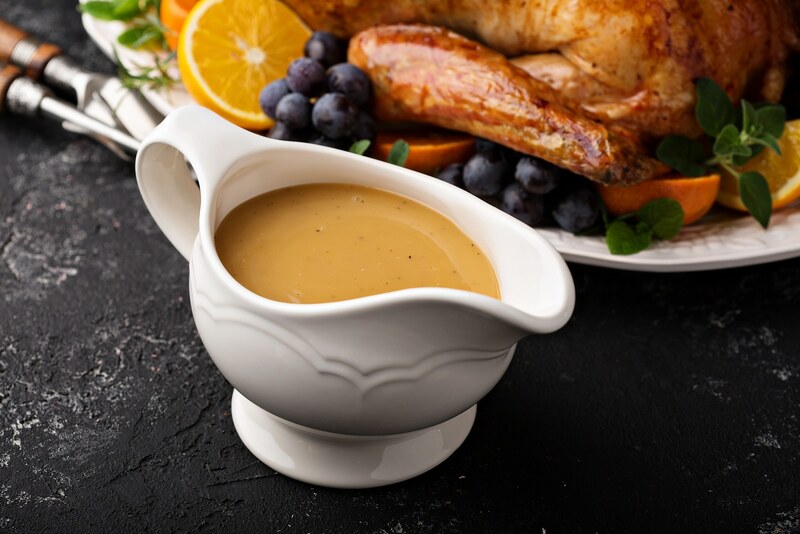 You just cannot have a Thanksgiving turkey without serving a great tasting giblet gravy. Instead of buying canned gravy this year why not try your hand at making it from scratch? It’s really not that hard and just takes some time and preparation. If you’re wanting to take this year off from cooking know that Catering by Design offers the best holiday catering near Raleigh. Call us today and ask about our affordable delivery packages. The recipe below will roughly make about 3 cups of Thanksgiving giblet gravy. First you should gather all of your ingredients and separate them. Take the liver from the giblets and put in the refrigerator. Put the other giblet bits into your saucepan. Cover them with the 4 cups of cold water. Bring this to a boil and then reduce to a low simmer for about 1 1/2 to 2 hours. Now add the liver to the saucepan and continue simmering for 30 more minutes. Using a colander or strainer, drain the giblets and set aside to cool. Keep the liquids to use in the gravy if you need it. Remove the neck meat and chop all the giblets. Melt the butter in a heavy-bottomed saucepan. Stir in the flour and cook and stir for 3 to 5 minutes or until it starts to turn golden. Now you’ll need 2 cups of either your turkey or roasted chicken drippings, giblet broth, or chicken or turkey stock. Slowly stir this into the roux. Add the milk or half-and-half and continue cooking and stirring until it thickens up. Taste and season the gravy with salt and freshly ground black pepper. Serve hot! Take this year off! Let the team at Catering by Design do all the work instead. We offer the best holiday catering near Raleigh. Our highly trained team is ready to take your call to schedule your service or answer any questions you might have about our packages. 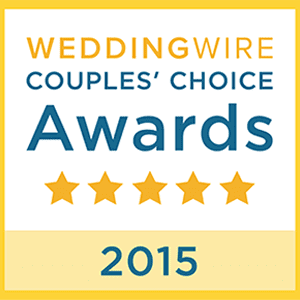 We are an award winning catering company that can handle holiday, business, or social events and budgets of any size. Don’t need full service catering? Ask about our delivery options. This is an amazing alternative when you do not need a full staff. Please click here to check out our menus, or call us today with any questions or to ask about our specials! Thanksgiving is only a few weeks away. Thousands of families will be stuffing birds and oven roasting them. Some will also be deep frying their Thanksgiving turkeys. Deep fried turkey has become increasingly popular, but it does come with some risks and dangers. If you’re new to deep frying turkeys be sure to read over today’s post. We’ll explain how to safely deep fry your bird so that you don’t end up in the hospital or burn your house down! Holiday catering in Raleigh NC doesn’t get any better than what you’ll find with working with Catering by Design. Our customers rave about our great tasting food, excellent customer service, and affordable prices. Our staff of professionals is standing by to take your call. 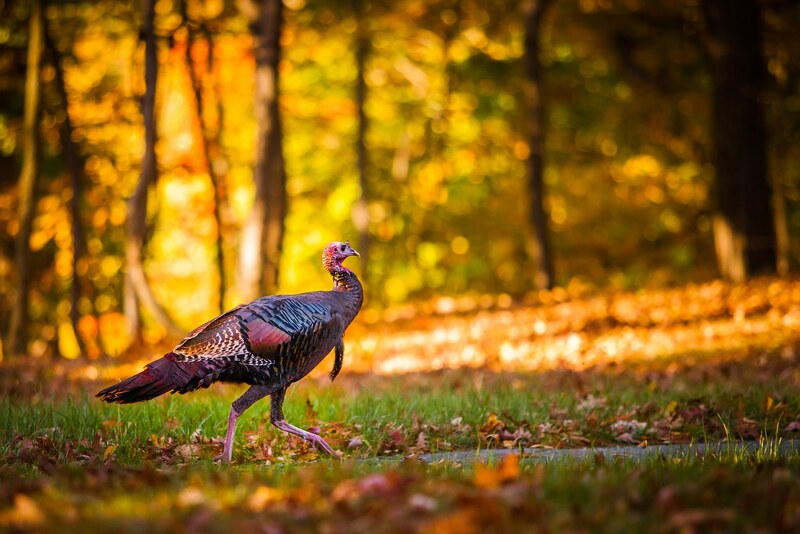 Start out by removing all the giblets and thawing out the frozen bird completely by soaking it in cold water. Once thawed, make a few small cuts beneath the wings, legs, and neck to let oil drain from the bird after cooking. You’ll also need to pat the turkey dry using paper towels. Put the bird in the refrigerator for at least 20 minutes prior to frying to remove any extra moisture as well. You want the bird as dry as possible because water in hot oil is dangerous. While the bird is thawing out, you can work on finding a flat surface outside for your deep fryer. Be sure to put the deep fryer far away from your home and anything that could easily catch fire. Do not set up your deep fryer on a wooden deck. The biggest, and most dangerous, risk when deep frying a turkey is overfilling the pot with too much oil. If the pot is too full with oil the turkey will displace it creating an epic grease fire. There is a way to keep this from happening. 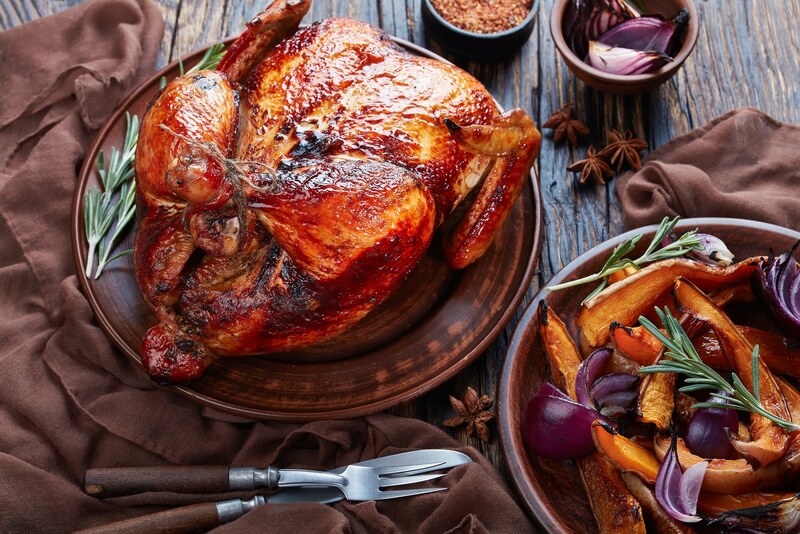 Follow these steps below to prevent a Thanksgiving grease fire. First put the turkey into your fry pot. Pour water into the pot until the turkey is covered by only an inch of water. Remove the turkey and score the water line with a knife; this is your oil fill line. Make sure that your fill line is no more than three inches from the pot’s top. Five or more inches below the rim will be even better. Let the oil heat up to 375 degrees. Once the oil is ready double check to make sure your turkey is secure in the fry basket or lift hook. Attach the fry basket or hook to a broomstick or other long pole. Put on your apron, gloves, and goggles for safety. Cut off the burner and get a friend or family member to help you slowly lower the turkey into the oil to prevent splashing. Cutting off the burner will ensure that any oil that might spill over does not ignite the whole pot. The turkey will reduce the oil temp by about 50 degrees so cut the burner back on to high. Once the oil reaches 350 reduce the burner output until it levels out and stays around this temperature. Set your timer based on the weight of the bird (3 1/2 minutes per pound of bird). For instance, a 10 pound turkey will take about 35 minutes to fully cook in the fryer. Do not leave the turkey fryer unattended while it’s in use. Always be sure someone is watching it to prevent an accident. Right before your timer is almost done pull the turkey out just enough to pop in a meat thermometer. You’ll want it to read 165 degrees. If it’s not 165 degrees, let the turkey continue cooking for a few more minutes. Once the turkey has been thoroughly cooked, you’ll need to slowly remove it from the pot. Cut the burner off first. Then find the same pole that you used earlier to lift the turkey out of the oil. Let it linger over your pot for a few minutes to allow for draining and then place on paper towel lined platter or baking sheet. Let the turkey sit for about 20 minutes after removing from the pot to cool down and continue draining. Then carve the bird and enjoy it. The most affordable holiday catering in Raleigh NC is just a phone call away at Catering by Design. We’ve got the best holiday menus for all of your catering needs. 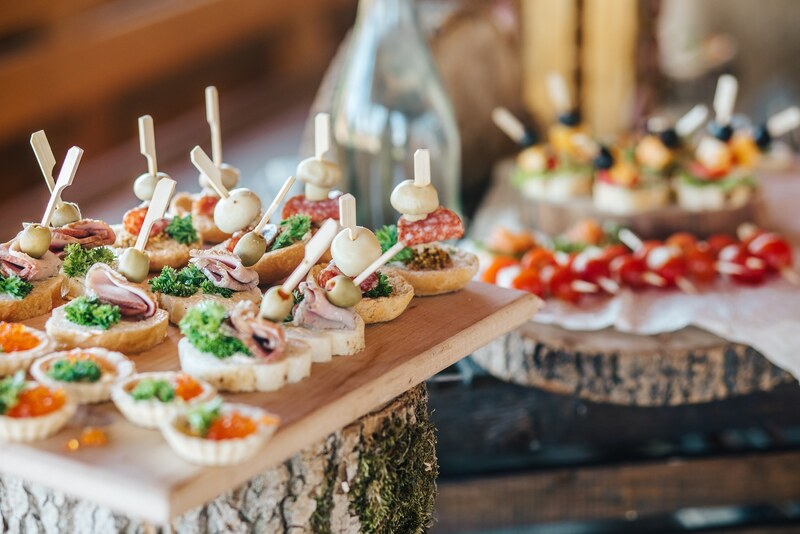 From holiday parties, to weddings, renewals and anniversary parties, and even corporate events, awards banquets, and more, Catering by Design can make sure your food and fun are on point. We can guarantee that your holiday season will be better when you work with our professional staff, so give us a call today and see why we’re the number one choice for Raleigh caterers! Are you still trying to figure out what kind of gift to give your friend or family member who consider themselves to be something of a wine connoisseur? Instead of gifting them the same ole bottle of wine this year, consider taking a step outside of the box. Below, and in our next post, we’ll try to give you some creative ideas that any wine lover will surely appreciate! If you have an upcoming event and need affordable holiday catering in Raleigh, NC, we hope you’ll call Catering by Design. We offer great menu selections, affordable prices, and unbeatable customer service. People all over the world drink mulled wine during the holidays. 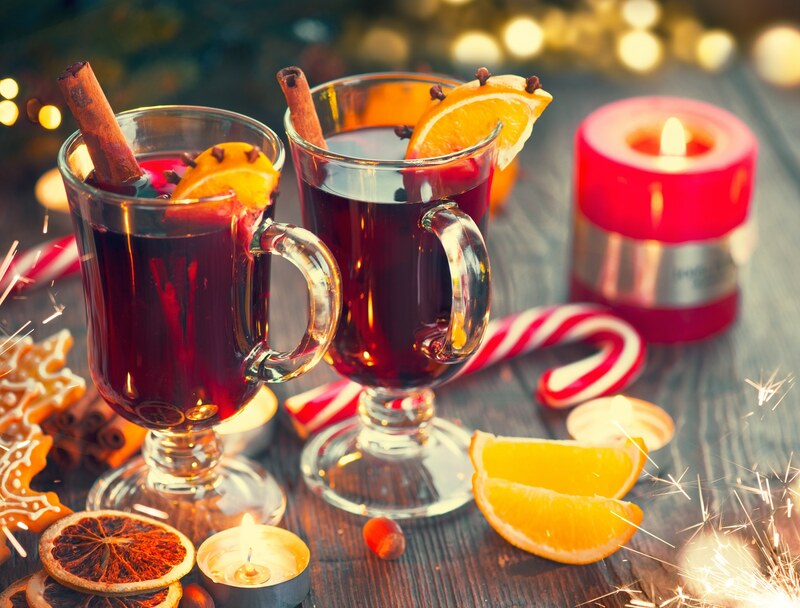 Mulled wine is a term used to describe wine that has been infused with spices and is generally served warm. Amazon has a nice assortment of affordable options to choose from. When lots of people are drinking wine, sometimes it is hard to tell which glass is yours. These erasable wine glass markers prevent that from happening. This makes for a great stocking stuffer or single gift. A set of 3 will only set you back about $10.00 on Amazon. Wine connoisseurs love the aromas of their favorite wines. You’ll see them smelling the cork and the drink itself. Now they can enjoy these aromas anytime, even when not drinking, with Rewind Candles. Flavors include Riesling, Pinot Noir, and more. Ready for more great wine related gift ideas? Jump on over to our next post. Need some help with holiday catering this year? 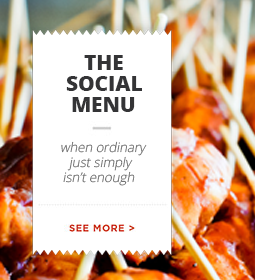 Read on to see why calling Catering by Design is a great idea! 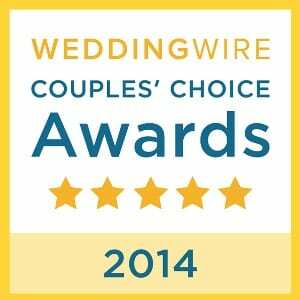 Are you looking for the best holiday catering in Raleigh, NC? We hope you’ll consider calling Catering by Design. Our professional team is ready to take your call and answer any questions or schedule your service. We’re an award winning Raleigh catering company that can handle holiday, business, or social events of any size. 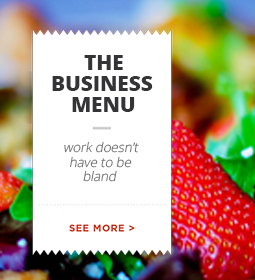 We have menus for all budgets. If you do not need full service catering, ask about our delivery options. This is an amazing alternative when you do not need a full staff. Planning a winter wedding reception? 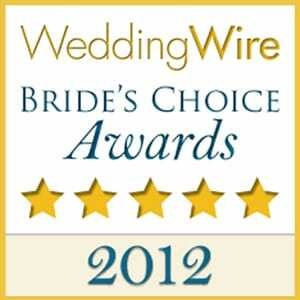 Brides and grooms love our free menu tastings. This is a free service we offer that many of our competitors charge for. Please click here to check out our menus, or call us today with any questions or to ask about our specials! Welcome back to our series on great coffee related gift ideas. We started out the series by talking about our top two favorite coffee items, a handheld espresso maker and coffee subscriptions. Jump back to take a look by clicking here. Below you’ll find a few more nifty ideas. Where’s the best holiday catering Raleigh NC has to offer this year? At Catering by Design! Our holiday catering menus are very affordable and can be totally customized. Call today to learn more about our full service and delivery options. The French press is one of the most classic methods of brewing coffee. If done right, it can produce a great cup of joe. This is a great gift for coffee lovers looking to add to their collection of coffee making devices. Coffee mugs are often given as gifts over the holiday season. This type of mug is really cool if you’re looking to stand out from the crowd. The design on the front of the mug changes with the temperature. You can get them on Amazon for less than $20.00. A new coffee grinder is always a good idea. You can buy them almost anywhere. Some are inexpensive and others have lots of different features. Some days you just want an iced coffee drink. Making one at home can be an ordeal, especially if you want it to taste right. The Hario Cold Process Pour-Over Immersion Brewer is just the gift you’re looking for. At less than $20.00, you can buy one for yourself and one for your coffee loving friend. We hope these ideas will help you make gift buying easier this year. If you have a holiday event coming up or need catering for 2018, don’t hesitate to call Catering by Design. Keep reading to learn why! The best holiday catering Raleigh NC has to offer is just a phone call away when you contact the professionals at Catering by Design. We’ve got the best holiday menus for all of your catering needs. From holiday parties, to weddings, renewals, anniversary parties, and even corporate events, awards banquets and more, Catering by Design can make sure your food and fun are on point. I am sure everyone knows a few coffee lovers. You might even be one yourself. I know I am. In fact, don’t even talk to me in the morning until I’ve at least had one cup. 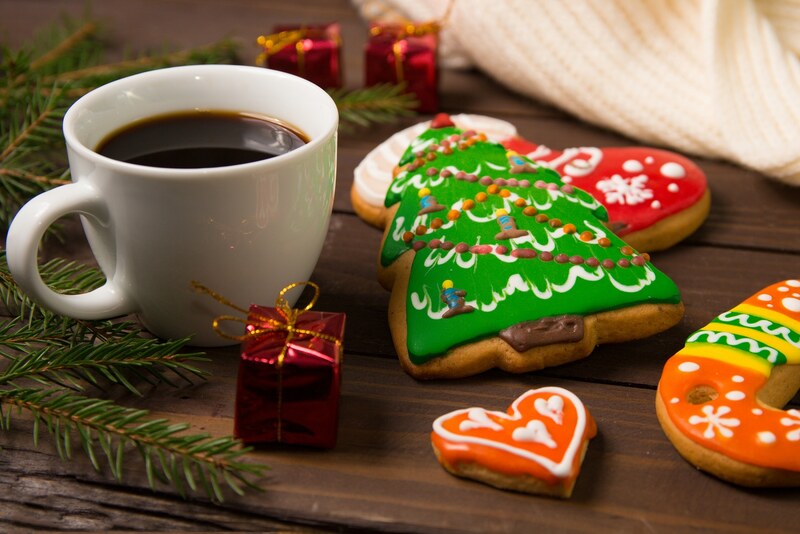 Because so many people love coffee, we’ve decided to put together a list of a few of our favorite holiday coffee related items that make for perfect holiday gifts. We hope these next two posts will help you make gift buying a little easier this year. If you have an event coming up and need great tasting Raleigh holiday catering at affordable prices, call Catering by Design. You’ll love our holiday menu selections, prices, and our unbeatable customer service. A monthly coffee subscription is the gift that just keeps on giving. This is perfect for the coffee addict in your life as they’ll be able to sample lots of different types of coffee blends. There are lots of coffee subscriptions out there to choose from. If you’re unsure of where to buy, check out this great resource for a few ideas. Counter top espresso makers can cost hundreds to thousands of dollars. That means regular folks have a hard time making their own at home. Not anymore. You can now buy a handheld espresso make for as little as $19.99 from Walmart! 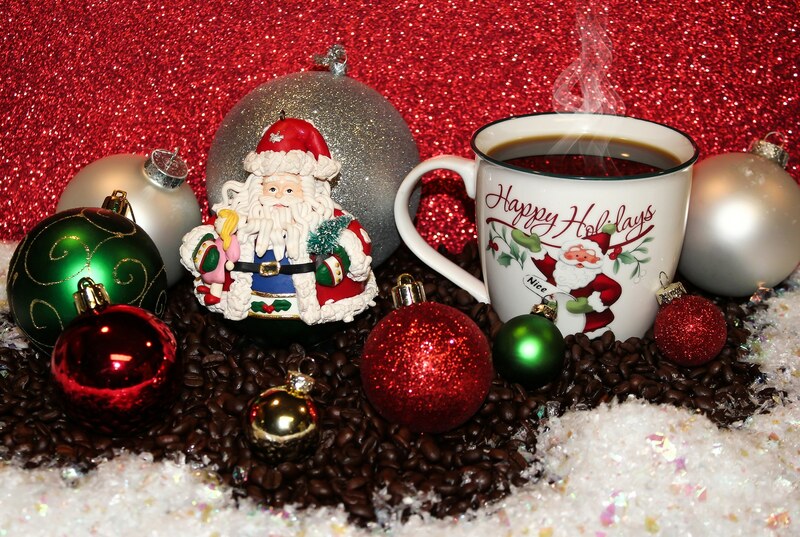 Need a few more ideas for your coffee loving friends and loved ones? Check out our next post. For a great catering experience this holiday season, keep reading to see how Catering by Design can help. If you are looking for reliable Raleigh holiday catering for an upcoming event, please consider calling Catering by Design. Our team of highly trained professionals is ready to take your call and schedule your service today. We are an award winning catering company that can handle holiday, business, or social events of any size, and we have menus for all budgets. Don’t need full service catering? Ask about our delivery options. This is an amazing alternative when you do not need a full staff. Planning a winter wedding and reception? Brides and grooms will love our free menu tastings. This is a free service we offer that most of our competitors charge for. Please click here to check out our menus, or call us today with any questions or to ask about our specials! Welcome back to our continuing series on food inspired gifts for the 2017 holiday season. If you missed our last post, check it out by clicking here. We listed several great gifts for under $30.00. 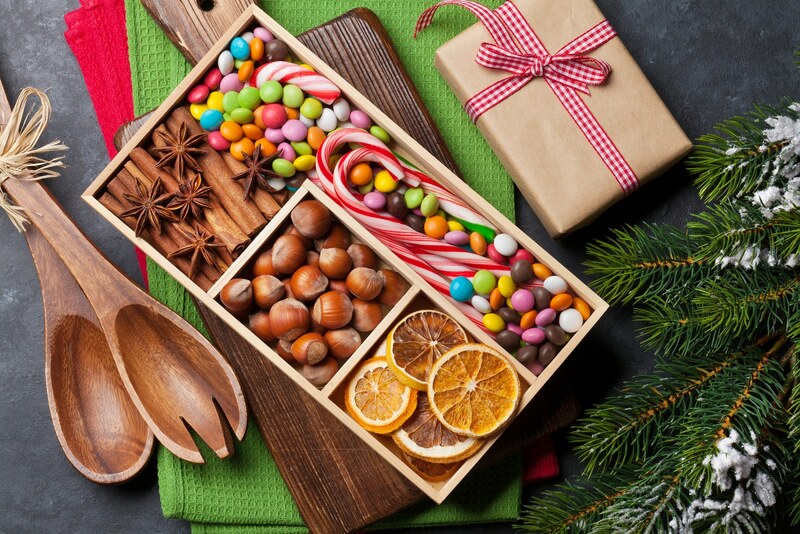 Below we’ll be talking about even more really cool gifts that any food lover will enjoying having. If you need high quality Raleigh event catering at affordable prices this holiday season, call Catering by Design today. Doing cooking conversions and ratios on the fly can be a pain. Furthermore, where you are you going to put your dirty spoon while you’re cooking? These problems are solved with this awesome gift. At $9.95, you might want to pick a few of these up. I know I’d love to have one! Avocado is a delicious super food, but they’re not easily sliced without making a mess. This avocado slicer from Urban Outfitters is only $8.00 and can be a great standalone gift of stocking stuffer. The holidays are not complete without cookies. That’s why these state-shaped cookie cutters make for a great gift. They’re only $3.99 a piece and each state cutter comes with its very own special recipe card. Do you have a foodie friend that loves to host dinner parties? Then giving them a set of personalized initial napkins is a really cool gift. They’re only $6.95. Trying to figure out what to cook each night can sometimes become problematic, especially if you’re indecisive like me. No two meals will every be the same because Foodie Dice has over 186,000 possible combinations. A set is only $24.00. If you need more holiday food gifts or recipe ideas, be sure to visit back with our blog soon for more helpful information. If you’re looking for the best holiday catering this year, call Catering By Design. Keep reading to learn more. If you are searching for reliable Raleigh event catering for the holidays, look no further than Catering by Design. 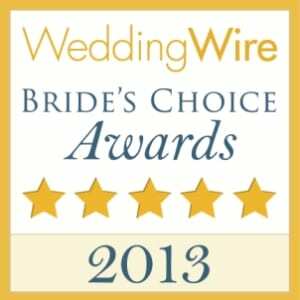 We’re one of the highest rated Raleigh catering companies. We can help you with any type of event with very affordable catering packages. Our team of highly trained pros are ready to answer questions or to schedule service for you. Are you getting married this winter or next year? Brides and grooms love our free menu tastings. This is a free service we offer that lots of our competitors charge for. 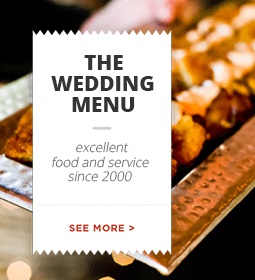 Please click here to check out our wedding menus. Call us today to learn more. Halloween is right around the corner! Kids everywhere will be hitting the streets in force trying to fill their bags and plastic pumpkins with loads and loads of candy. If you’re taking your kids out for a night of trick-or-treating or if they’re old enough to go without you, make sure you practice these Halloween safety tips. 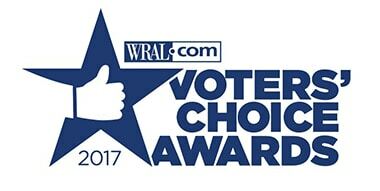 Where’s the best holiday catering Raleigh NC has to offer? At Catering by Design! Our holiday catering menus are vast, affordable, and can be customized to meet any of your needs. Call us today to learn more about our full service and delivery catering packages. Masks – Try to avoid masks if possible for younger kids. Masks can limit and block eyesight, cause muffled hearing, and even make breathing difficult. Opt for face paint or a funny hat instead. Wigs and Wearable Accessories – When shopping for these, only buy items that are non-flammable. Short and Soft Props- If your child’s costume comes with a cane, stick, sword, or other prop, make sure they’re short, soft, and flexible. Also make sure that none of these items have sharp points to avoid a possible injury. 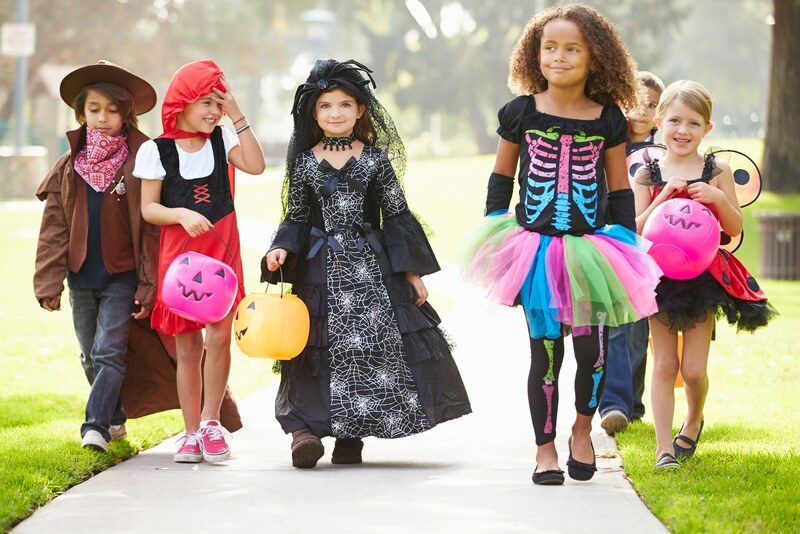 Light, Bright, or Reflective – Costumes should be made of light, bright, or reflective colors and materials if you’ll be trick-or-treating at dusk or after dark. For extra safety, take some reflective tape and either attach it to your child’s costume or candy bag. Avoid black or dark costumes. These can make your child hard to see and are a safety hazard when crossing streets and intersections. Always Check the Candy – Parents, always check your kid’s candy before they dive right in. Discard any open items. Discard any homemade treats as well unless you personally know and trust the person who gave them to your child. For more Halloween and trick-or-treating safety tips, our last post is filled lots of helpful information. Please click here to read part one of this series. The best holiday catering Raleigh NC has to offer is just a phone call away when you contact the professionals at Catering by Design. We’ve got the best holiday menus for all of your catering needs. From holiday parties, to weddings, renewals, and anniversary parties, and even corporate events, awards banquets and more, Catering by Design can make sure your food and fun are on point. For kids, Halloween is one of the most exciting times of the year. The candy, costumes, games, and other fun treats have children all over waiting impatiently for October 31st to roll around. If you want to ensure that your little ghoul has a safe and fun Halloween this year, check out these safety tips below. If you have a holiday event coming up and need affordable Raleigh holiday catering this fall or winter, please call Catering by Design. 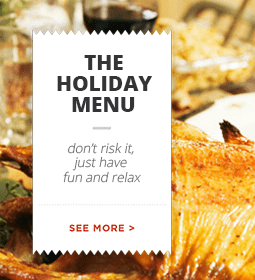 You’ll love our holiday menu selections, prices, and customer service. The most important tip that you should arm yourself with is making sure that your child knows names, your home address, phone numbers and how to dial 911. If you have a younger child and somehow he or she gets split up from the adults, knowing this information could be really helpful. Make sure you go over this information with them at length. If they have their own cell phone, make sure they understand how to call 911 and what to say in case of an emergency. Your kids should never be allowed to go out trick-or-treating alone. Even if they are older or teenagers, the buddy system should always be used. There really is safety in numbers. The bigger the group, the safer your child will likely be. Planning your route in advance is a great way to make sure your trick-or-treat outing is safe and less stressful. This might not be necessary if you’re just staying in your own neighborhood. If you’re heading to an unfamiliar area then having a plan is a smart idea. 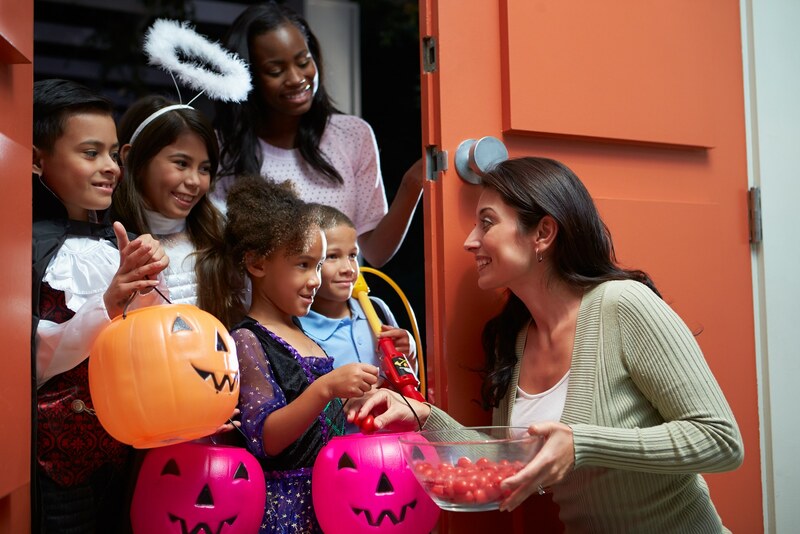 If you need more Halloween safety trick-or-treating tips, click here to jump to our next post. If you need great food at unbeatable prices, keep reading to see how Catering by Design can help. If you are looking for reliable Raleigh holiday catering for your next event, please call Catering by Design today. Our team of highly trained professionals is ready to take your call to schedule your service today. We are an award winning catering company that can handle holiday, business, or social events of any size, and we have menus for all budgets. 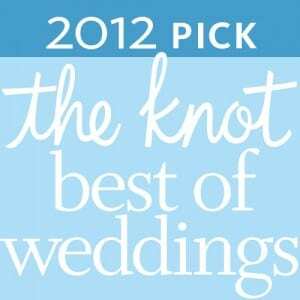 Planning a fall or winter wedding? Brides and grooms will love our free menu tastings. This is a free service we offer that most of our competitors charge for. Please click here to check out our menus, or call us today with any questions or to ask about our specials!